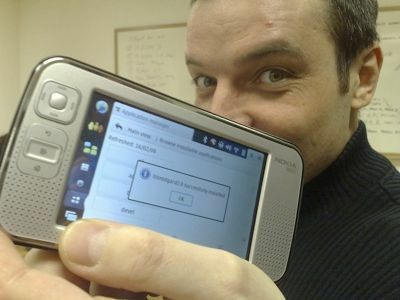 Bugzilla isn't really the best place for contributing and discussing new ideas for a software project. 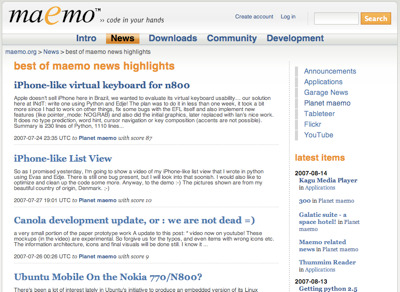 Like Ubuntu and openSUSE before us, the Maemo community now also has a better tool for this: Maemo Brainstorm. 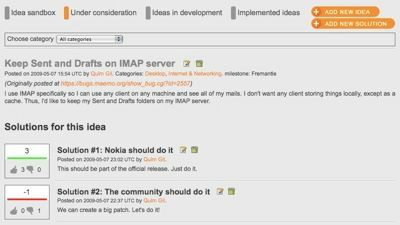 Maemo Brainstorm, developed as part of our efforts to the April 09 Sprint is a new web service that follows the model of Drupal's IdeaTorrent, but with a particular Maemo flavor. 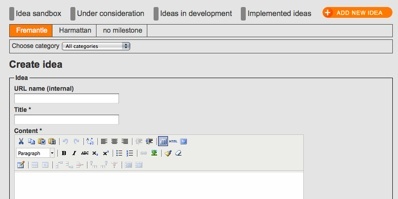 After voting, popular ideas may then be chosen to be implemented by a team of moderators. Some work is still being done on Brainstorm, including a dedicated search for this area of the site. 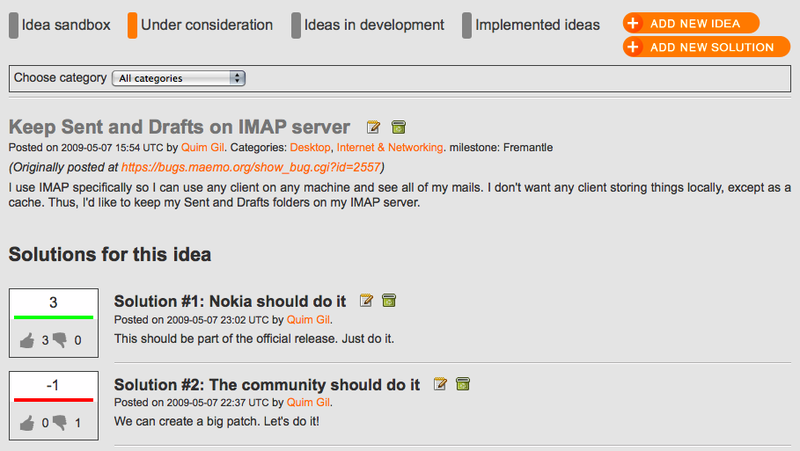 In the meanwhile, please go and submit your favorite ideas, and vote for the ideas others have submitted. You can also follow the categories you're interested in via their RSS feeds, or the progress of your own ideas via the Dashboard. And be sure to report any issues or ideas you have about Brainstorm itself!